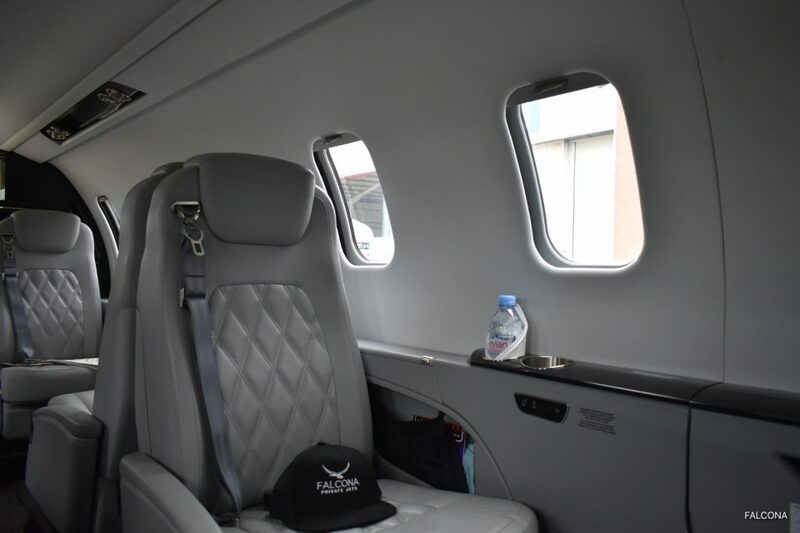 We’re pleased to announce that Falcona Private Jets will have access to a brand new Bombardier Learjet 75 private jet for charter at Manchester Airport. 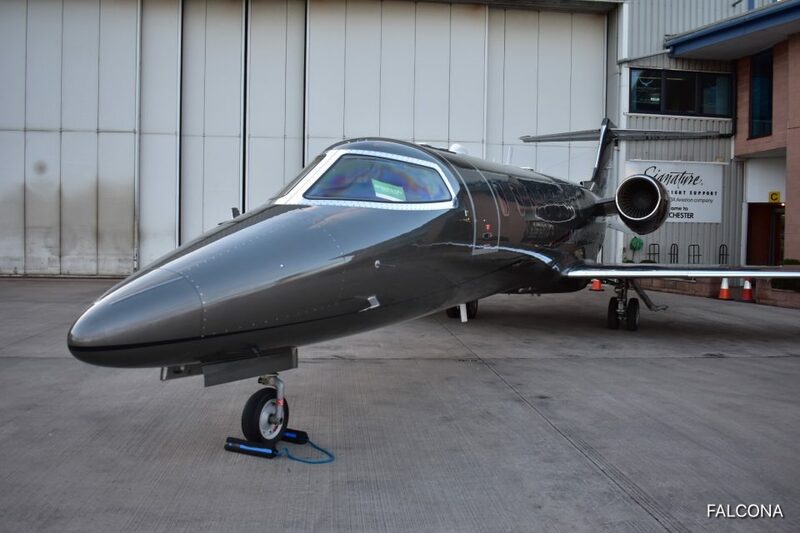 The Learjet 75 offers our locally based North West clients a aircraft which is suitable for business trips. It also has the range to reach popular private jet summer destinations from Manchester such Ibiza, Nice, Faro and Mallorca. Manchester is fast becoming the UK go-to city for businesses. Manchester is the home of great music, football and impressive architecture. 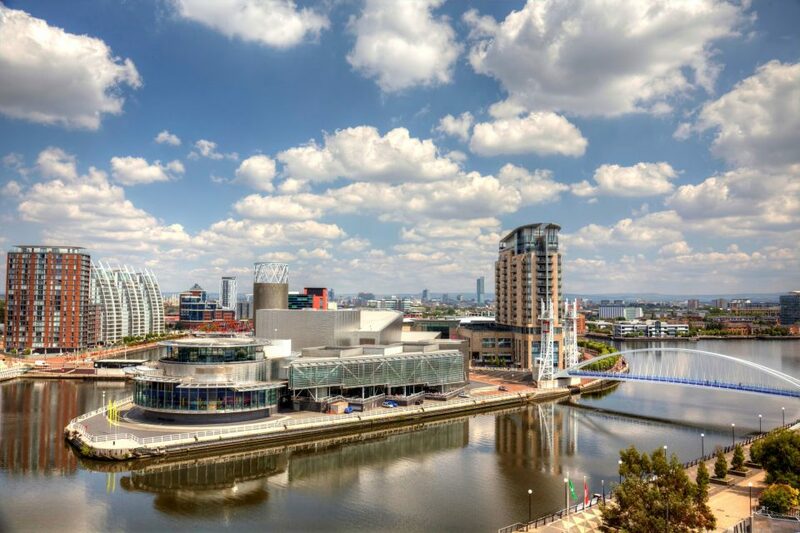 Media City , retail, manufacturing, property and technology are turning this northern city into a major business hub. It’s home to the BBC, ITV, Kellogg’s and around 250 more businesses, Media City has fast become an international hub for creativity and innovation. During the summer season we have lots of charter flights from Manchester to Mallorca, Ibiza, Nice, Cannes and Sardinia. All are within reach on the Learjet 75 from Manchester. Thinking of a ski trip? The Learjet 75 can access smaller airports getting you closer to the slopes. Fly direct to Sion, St Gallen, Annecy and all other airports around the Alps during the ski season. 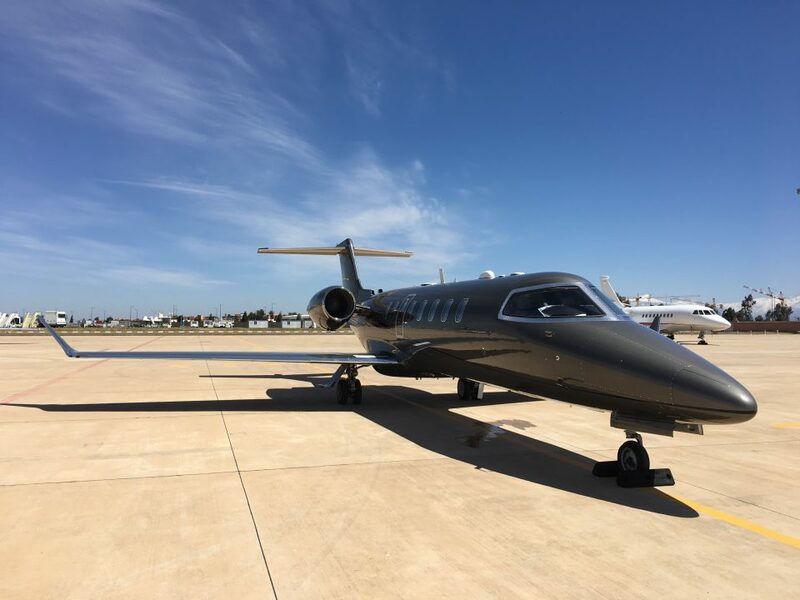 The Bombardier Learjet 75 provides the luxury and comfort of a larger aircraft in a light jet, delivering the ultimate travel experience. With new performance levels and efficient range, it combines convenience with cutting-edge in-flight technology and connection capabilities. It flies further and faster than its closest competitor with full passenger and fuel capacity.